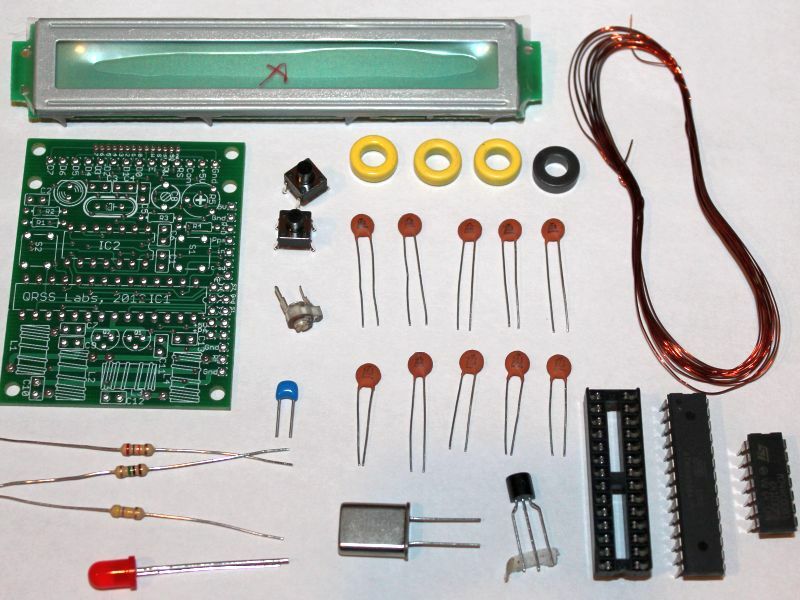 The Ultimate QRSS Transmitter Kit was available in 30, 40, 80 and 160m versions. The kit is now retired and the pages here are provided for information purposes only. SPANISH KIT INSTRUCTIONS v1.04 CLICK HERE - many thanks to Luis EA2COA who generously spent a lot of his time translating the instructions into Spanish. 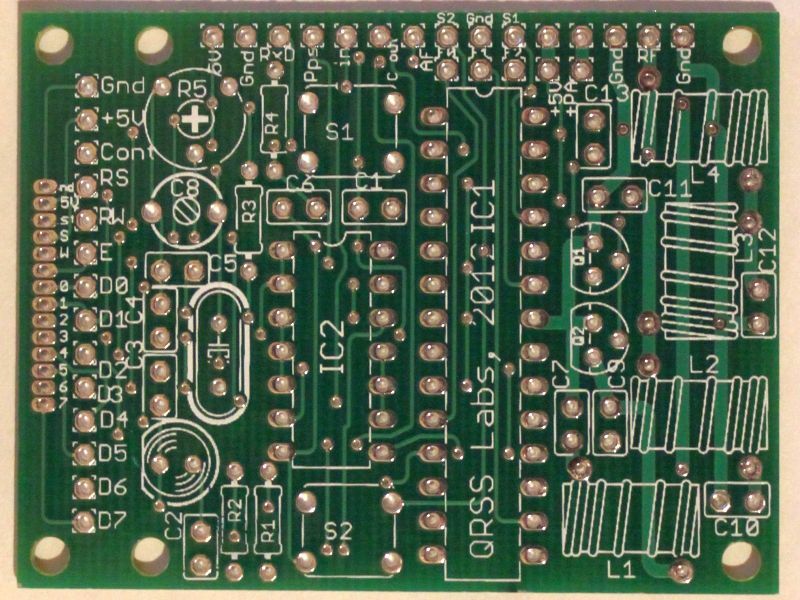 The kit contains the PCB, LCD, programmed microcontroller and all board-mounted components. Download the instruction manual using the link above. 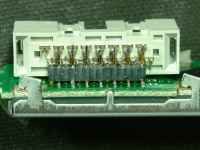 The PCB is quite compact and moderate care is required in the construction. A rich array of functionality is provided by the design; please read the instruction manual to understand the facilities provided. Builder modifications will be shown on this page as they are developed! 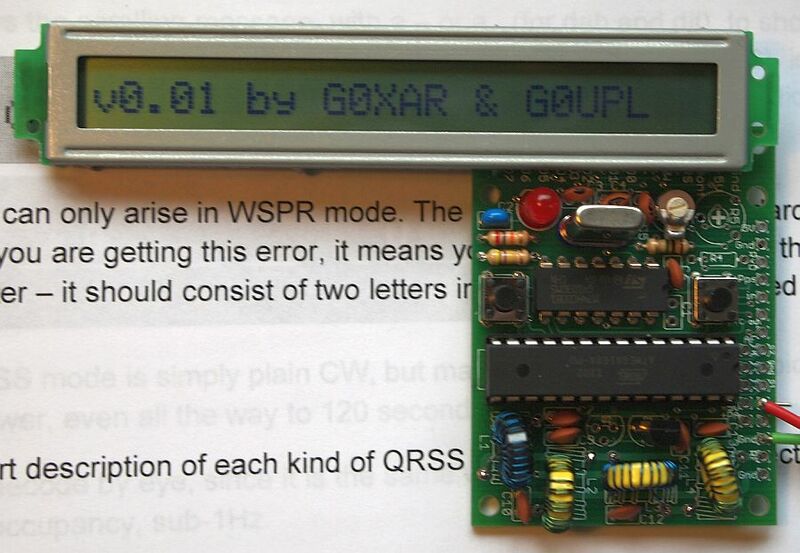 Note for WSPR users: the 30m kit has a 10.140MHz crystal which is suitable for either the QRSS sub-band or the WSPR frequency. 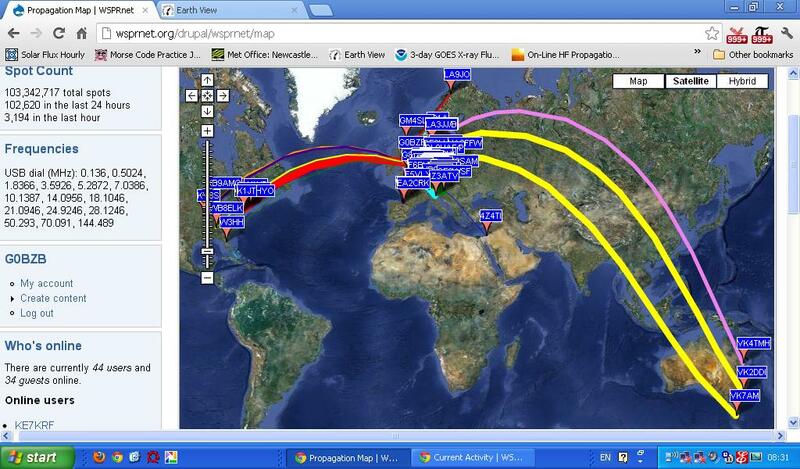 Therefore on 30m the kit can be used as a standalone WSPR transmitter. 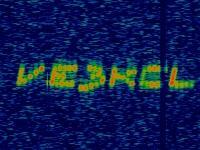 On other bands you may need to supply a suitable crystal for the WSPR frequency on that band. Alternatively you could use this kit in the AF output mode, fed into a conventional SSB transmitter set to the frequency of your choice. 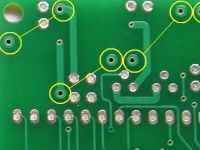 The PCB has an error, where solder-mask is incorrectly applied to the toroid pads. This is easy to scrape off with a knife or screw-driver blade. Here are some notes about which GPS module to use, what to consider when purchasing a GPS module, and the method of frequency stabilisation used in the kit. John VK6JY sent photos and an explanation of how to connect the LCD at right-angles to the PCB, convenient for a front-panel display for example. 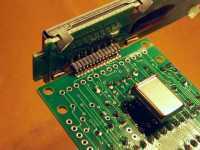 Mike G8NXD had problems splaying the LCD pins to connect wires, and describes his solution. 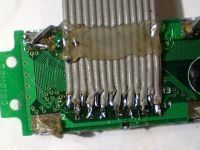 David G8OQW describes an elegant display connection solution using a ribbon cable connector. 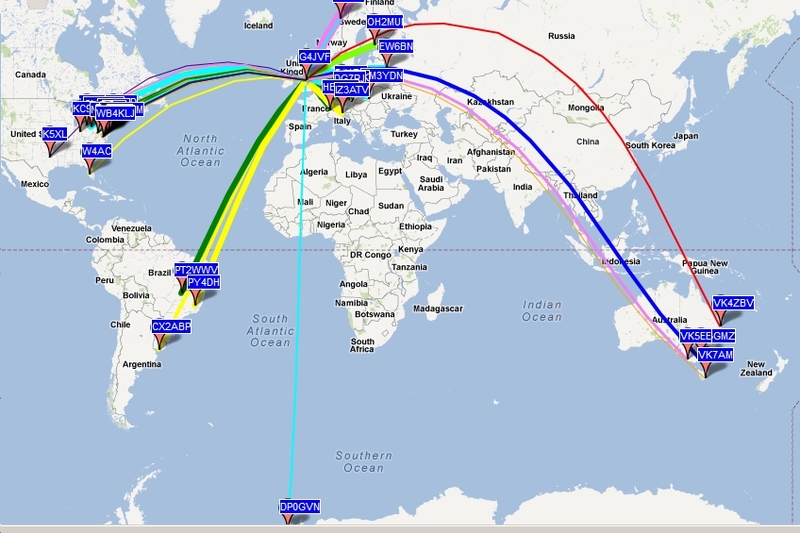 Just one night of operating 30m WSPR using the bare kit gave plenty of WSPR hits for Tony G0BZB (09-Sep-2012). Philip ordered a custom-made 20m crystal from QuartzlabUK (costing more than the kit price!) 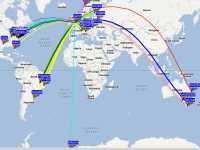 with the kit operating into a 132-foot Windom antenna, and was rewarded with WSPR spots worldwide over a 24-hour period (20-Sep-2012). 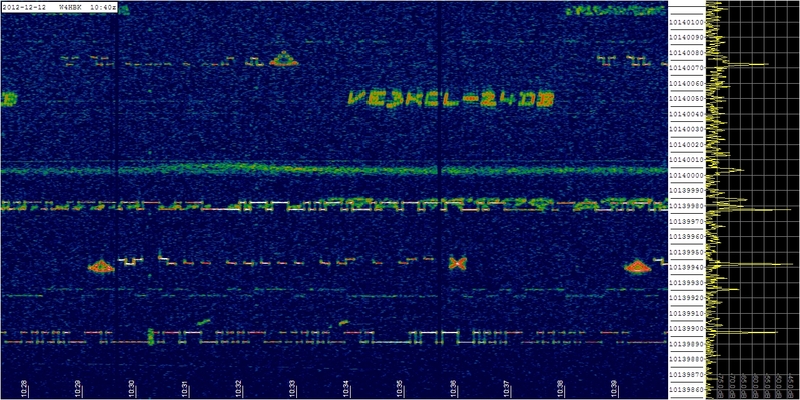 David VE3KCL operates from Toronto FN04 and the screenshot (left) is W4HBK's grabber at 1,700km distance. David uses two BS170's with heatsink, and got 800mW at 12V supply, subsequently lowering it to 250mW. 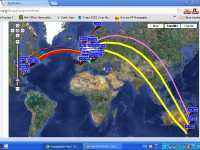 He uses WSPR and Hellschreiber to a G5RV antenna.